I love how the costumes turned out as a whole. I didn’t take step by step pictures (partially because I didn’t totally have a plan, I just kept trying things), but I’ll give you a brief description of how I made the costumes. 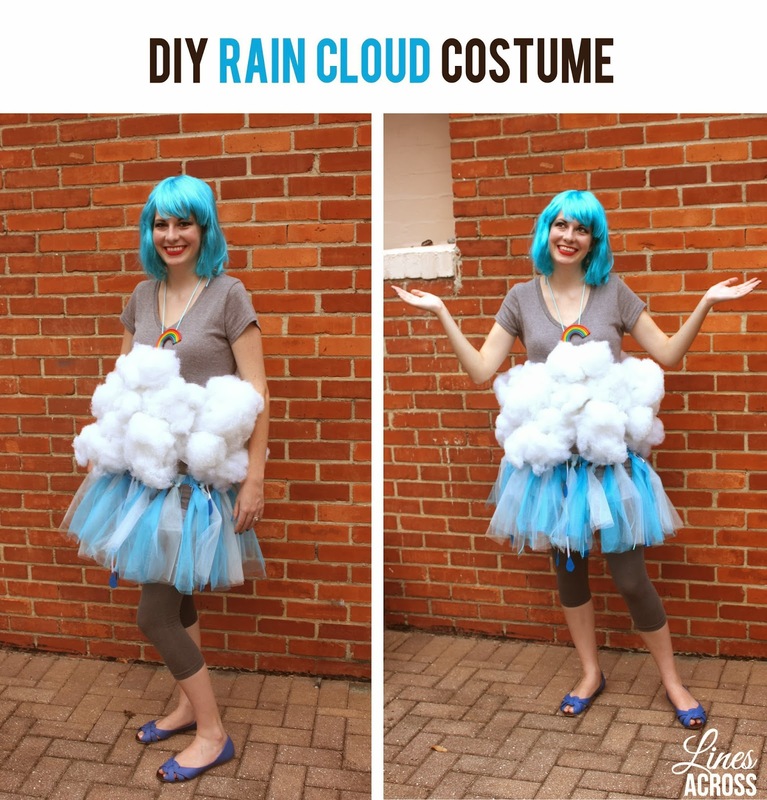 The rain cloud costume is actually a no-sew costume, since I don’t even know how to turn on a sewing machine, although I did hand stitch a few quick places for added support. This costume is really simple and fun. I feel like there are a lot of fun ways to make a fire costume more crazy and fun, but I ran out of time and ideas. 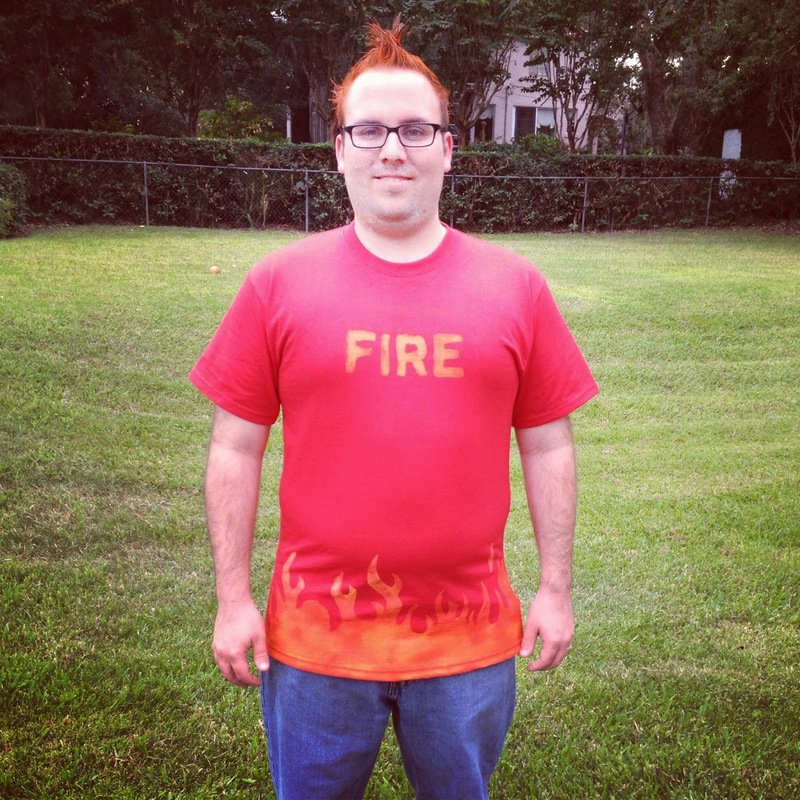 All you need is a decorated t-shirt, and some orange hairspray. I used my Silhouette and some vinyl to create a stencil for the flames. I then used orange and yellow spray paint to create the flames and the word FIRE. I have seen a lot of tutorials where people spray paint fabric and t-shirts, but for some reason, this definitely did not work well for me. I had to use so much spray paint for it even to show up. The shirt felt very hard and crunchy after it dried, and worst of all, it seriously shrunk the fabric. We ended out having to cut the sides of the shirt just so it would fit (and the t-shirt fit him perfectly before the spray paint). So maybe don’t spray paint your shirt, but follow this general idea. Any tips on how to create this look better? I love how this costume turned out! It was really pretty easy to make, and I already had almost all of the materials I needed. I only had to buy the blue wig ($5) and some turquoise and light blue tulle. 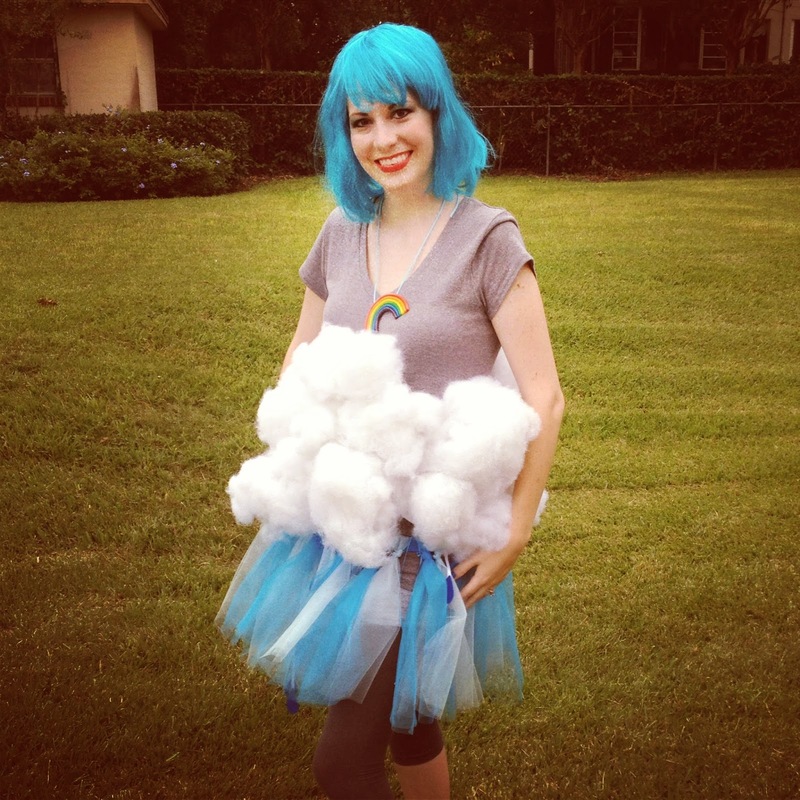 There are 3 main parts to this costume: the rain skirt, the cloud, and the rainbow necklace. 1. The Rain Skirt – Have you ever made a no-sew tutu? It’s really really easy, and they turn out very cute. It ends out being a little time consuming, but worth it. Maybe I’ll do a better tutorial with pictures soon, but here are the basic steps. 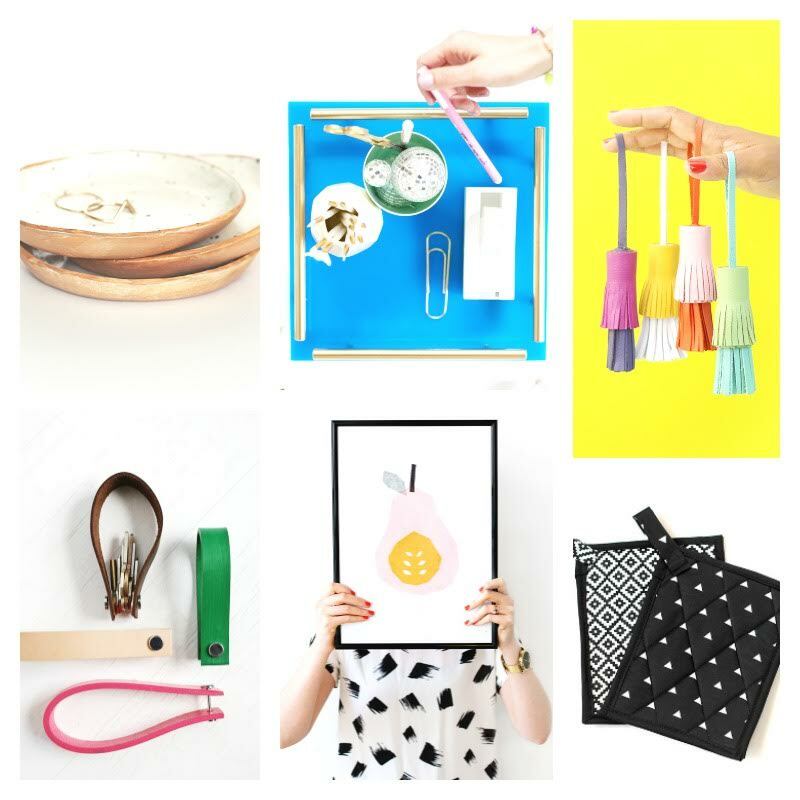 Start with a piece of elastic. Sew it together so that it is the right size. You want it to have to stretch a little. Now start cutting pieces of tulle. It’s best to use those 6 inch wide rolls that you can get at the craft stores. Cut a lot of pieces of tulle that are all the same length as each other (about twice as long as you want your skirt to be). Put two pieces of tulle on top of each other, and then tie them around the elastic. Keep on doing this until the skirt is as full as you want it to be. I alternated turquoise and light blue tulle for a fun effect. I also tied in some ribbons for fun. That’s it. So simple. 2. The Cloud – It would probably be easier to attach the cloud pieces directly to your t-shirt, but I wanted to be able to take it off separately, so I made something of a cloud belt. If you do it this way, start by cutting a piece of fabric (you can use an old t-shirt or sweater) into about an 8 inch wide belt that will wrap around your stomach. 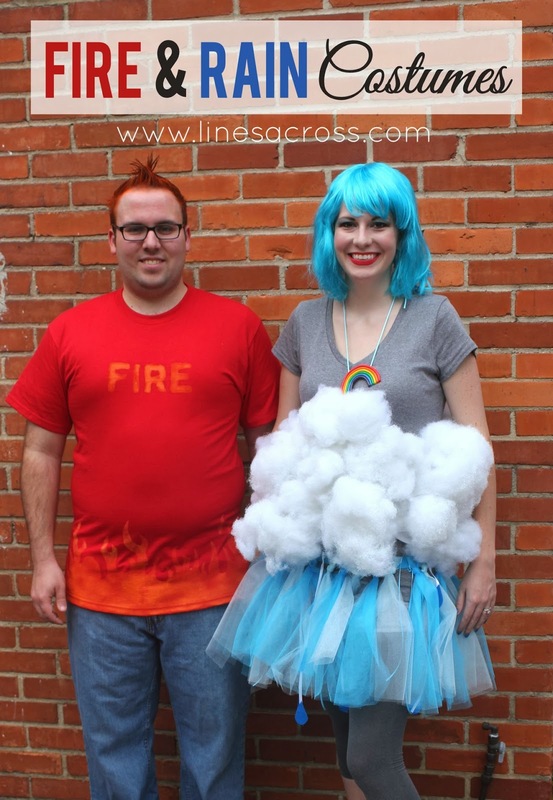 This costume is especially perfect for expecting moms! Start making little fluffy ball shapes out of white polyfill and gluing them to the belt with a hot glue gun. 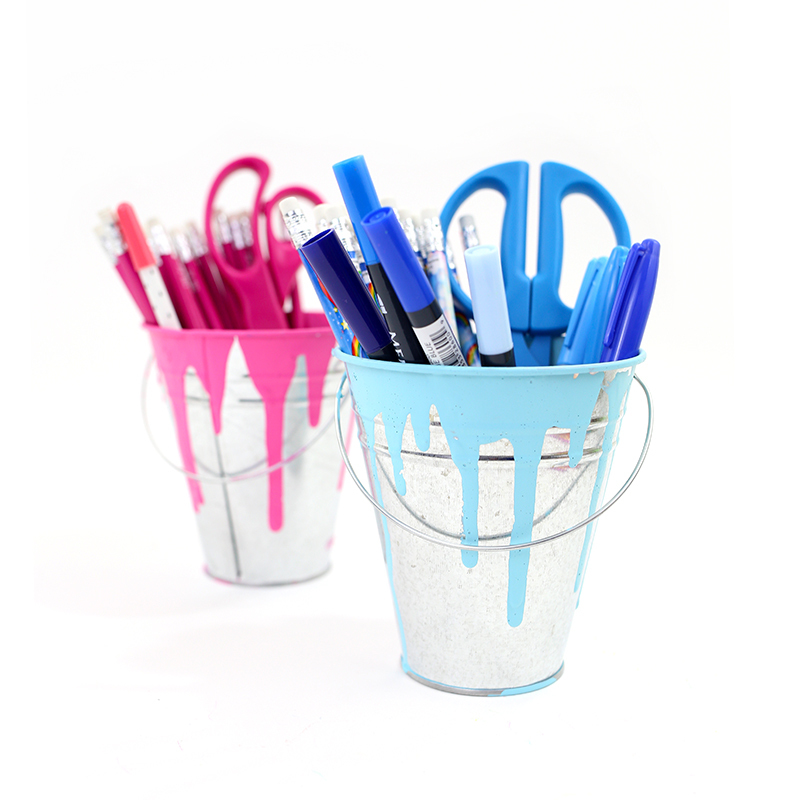 Use lots of glue in different places to make it more secure. I went back and stitched a few places by hand to make it a little more sturdy. Also come up with some way to make it attach. I sewed a ribbon to one side and a couple of buttons to the other. Velcro would also work really well. I also added some glitter with spray adhesive, but I kept shedding A LOT of glitter all night (SORRY LAUREN!). I think that a silver glitter spray paint would work even better. 3. 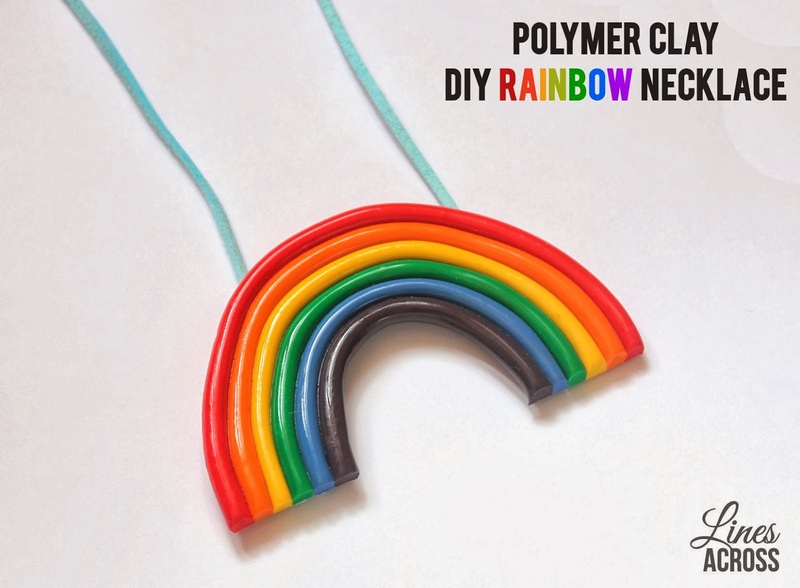 The Rainbow Necklace – If you’ve worked with polymer clay before, then this necklace will be pretty simple for you to make. 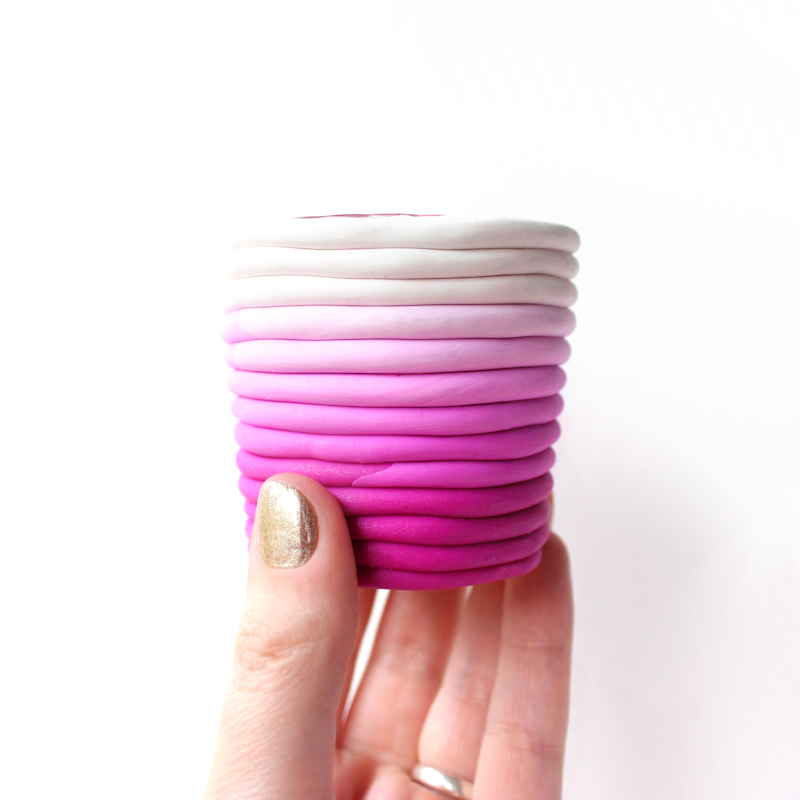 Basically just roll out different colors of clay, all about the same thickness. Arrange them in this rainbow shape, and cut the ends evenly. Then follow the instructions on the clay you used and bake. I also painted the finished rainbow with a clear gloss finish. Normally I would attach the chain in a more traditional jewelry-making way, but I ended out just gluing this light blue suede cord to the back of the rainbow. How cute! And easy! I hope it was a great evening! Thank you for the effort you have made ​​in creating this blog, better shared information that's also one of the values ​​of democracy … if I can do anything to help this site I 'd be happy .. Good luck ! I have a dance studio and one of our classes is going to be rain clouds in the recital. Do you thing the polyfil would stick to the belt through a whole tap routine? If they are jumping and running would it fall off?